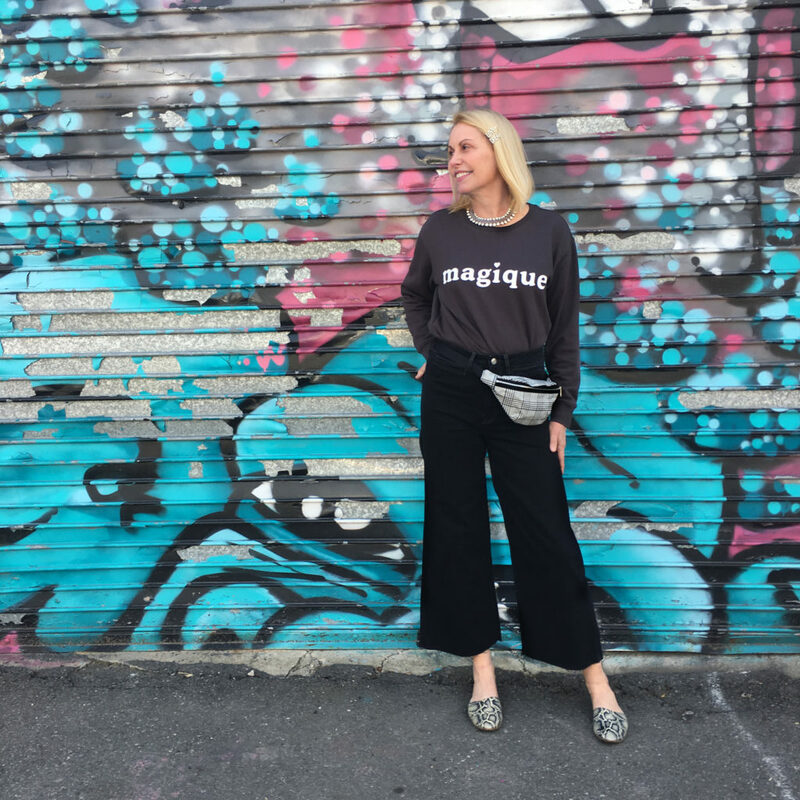 It must be the writer in me, but I do love it when my clothes have a little something extra to say (as seen in this and this post). And if it’s a bit cheeky, all the better. 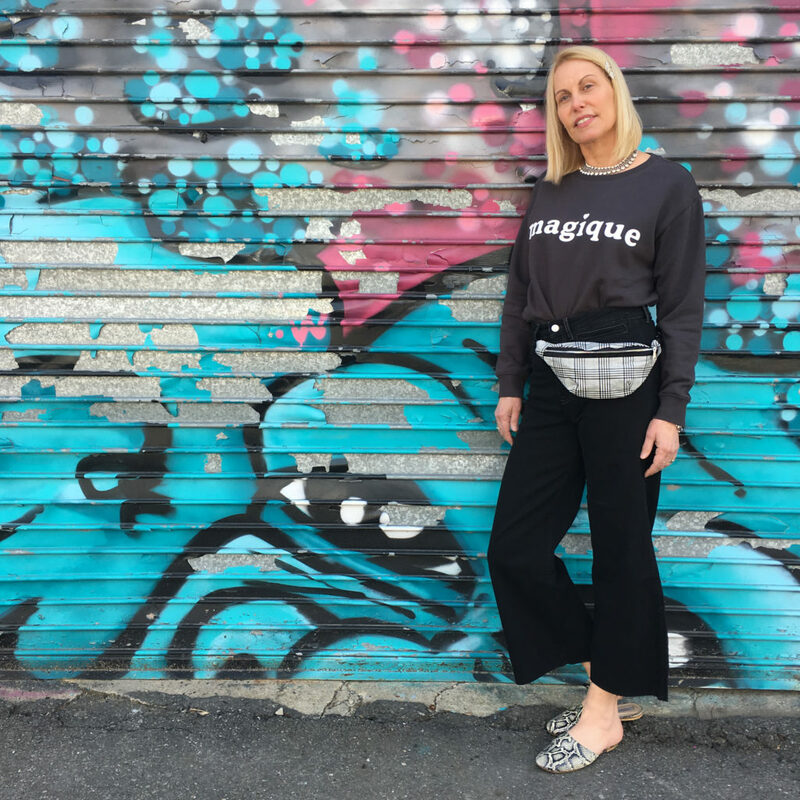 This charcoal sweatshirt looks effortlessly understated tucked into wide-leg black jeans, but it would also look equally chic paired with a favorite pair of white jeans…or a floral or pleated midi skirt. Best of all, it comes in at under $15. If it doesn’t speak to you, I’d still encourage you to look for a top that does. I spotted these jeans thanks to le catch, Marlien Rentmeester’s daily fashion blog. And yes, I made a mental note to check them out asap. I was not disappointed. They are perfectly cut, insanely comfy and super flattering. And they come in six different shades. Sign me up! 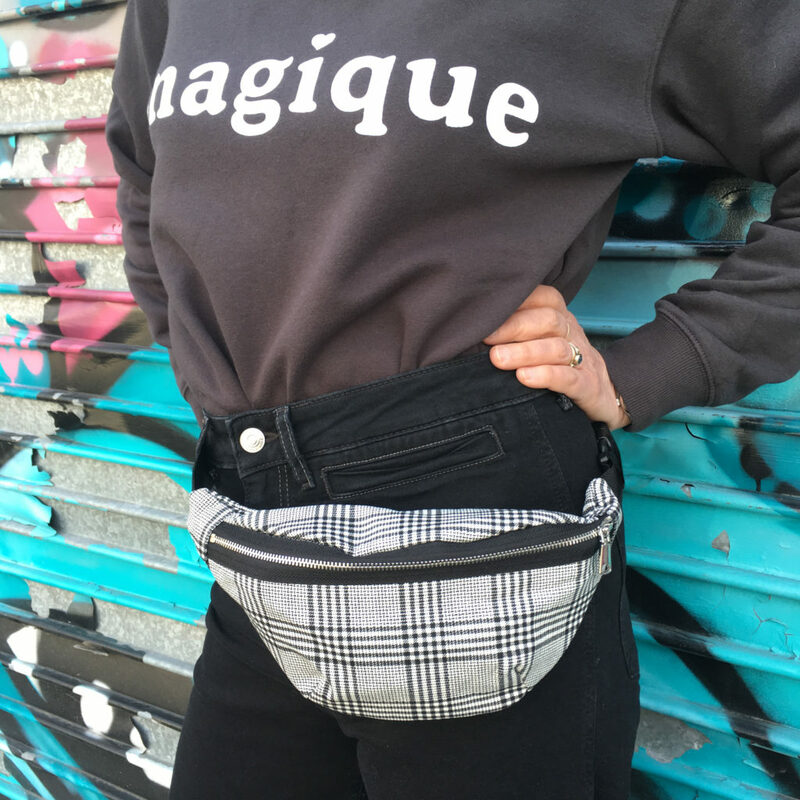 For accessories, let’s start with this steal of a belt bag. In of-the-moment black-and-white plaid, this bag is a low cost but high impact way to add fashionista flair. You can also wear it crossbody as I did in this post. These beautifully crafted, wear-everywhere snakeskin slides are all-time footwear faves. Caveat: they are not new, but these slides have more than stood the test of time (pun intended). I’ve probably worn them 100s of times (really), and I love how they look and how they make me feel every time I break them out. Gucci kicked off the rhinestone barrette craze (for a price! ), so I was thrilled to score these ridiculously affordable sparklers and get them in 2 days thanks to Amazon Prime. I didn’t realize until I was pulling together all the links for this post that H&M could have sponsored it. But they didn’t! This is entirely pulled from my own personal Spring wardrobe refresh. That being said, H&M is very much on their fashion game this season offering lots of affordable, on-trend pieces, as are Topshop (get the Austin dress before its gone! ), Zara (there’s a lot to love in their newest Campaign Collection), & Other Stories (check out this sunny statement pullover). 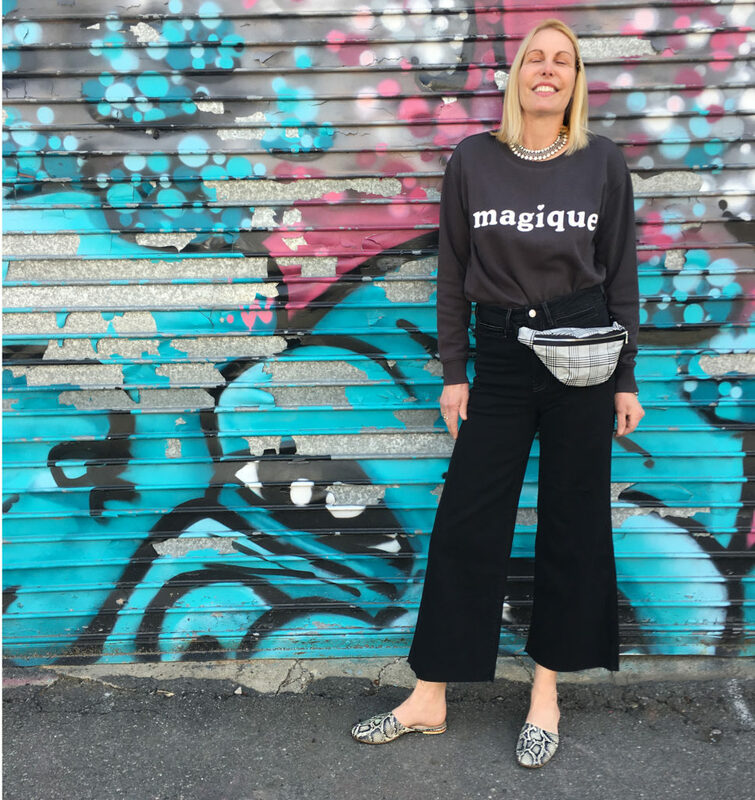 For me, the real “magique” of this look is how this sweatshirt and jeans have lots of fashion potential on their own. Whether dressed up or down, I’ll be putting them into heavy wardrobe rotation all Spring long. Sweatshirt: (H&M). Also in Grey Staycation, White Mañana and Yellow New York. 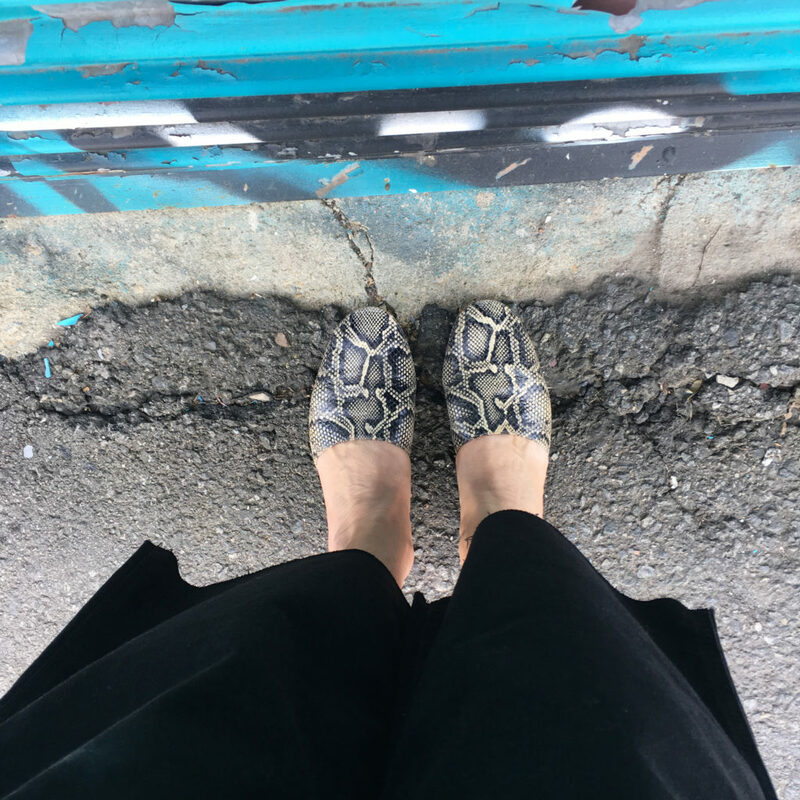 Shoes: (Emerson Fry, not available in snake.) But love this Spring’s black and caramel suede. Think you will too. Great travel shoe as they are so versatile and take up minimal space in your suitcase. Mine will be going to Switzerland with me at the end of the month. Thanks, Elisa. 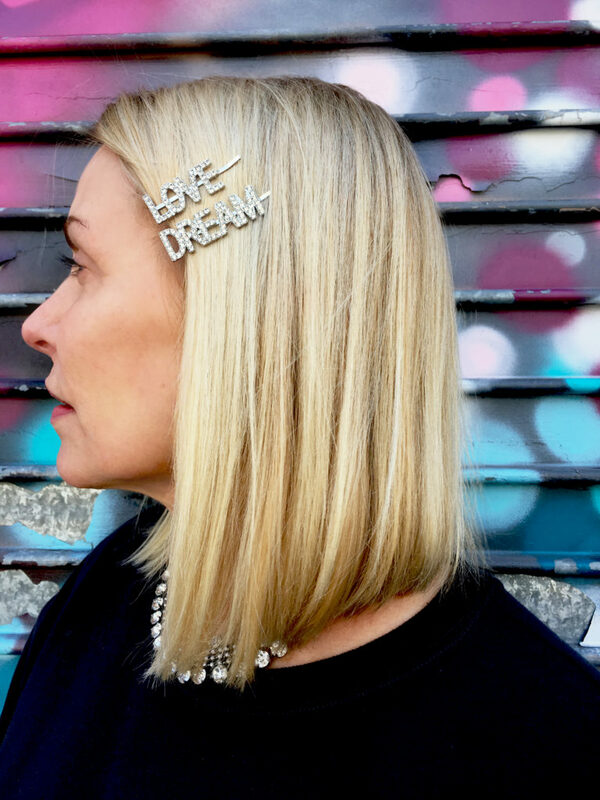 Think you will love the barrettes! And they sure beat Gucci’s version budget-wise!! This is such a cute outfit! Love the chic look and all the fun touches like those amazing barrettes. Definitely need to check them out on Amazon. Such a deal! Thanks, Jenifer! More of my Amazon fashion faves in my next post! !